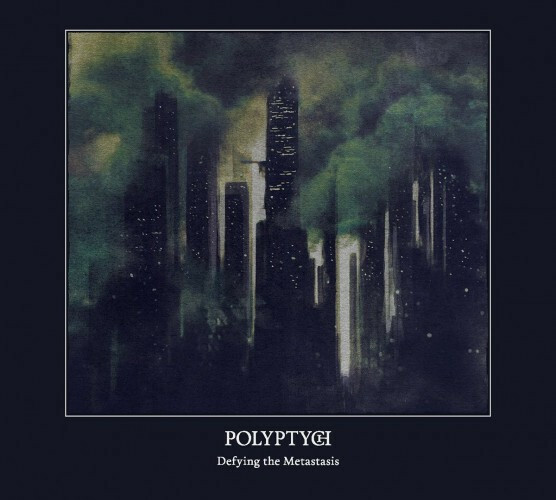 Last month we had the pleasure of premiering the title track to Defying the Metastasis, the new album by Chicago-based Polyptych. Today the album has been officially released in digital form (physical CDs will be available by the end of the summer), and the album is so damned good that I thought it was worth spreading the word — and giving you a chance to listen to all of it. It’s on Bandcamp now and will become available on Spotify, Deezer, iTunes, and Google Play in the coming weeks. Seriously, make time to listen to this. Eerie, shimmering synths lead to staggering bass and drum booms and dismal, disorienting chords. The drums begin to thunder, a scarred voice howls the lyrics, and the guitars erupt in a flurry of harrowing riffs and piercing, demented arpeggios. The melody’s bleak chords continue to ring out like pealing bells as the lead guitar becomes even more frenzied — until everything subsides into ambient sound, which itself becomes more disturbing by the end. 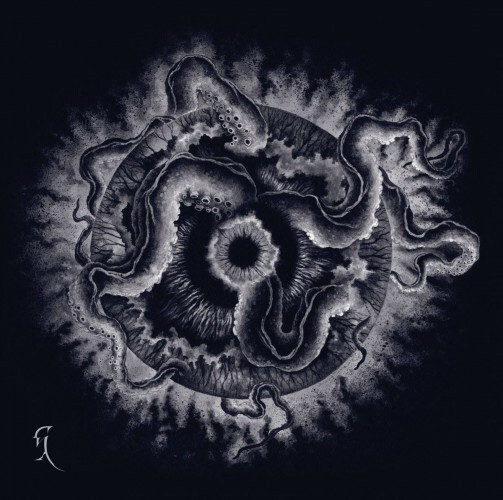 And those are my thoughts about the opening track to Darkness Transcend, the debut album by New Zealand’s Setentia, which will be released in late 2016 by the esteemed Blood Music label. Listen below. Now we’ll leap half the world and land in Sweden. 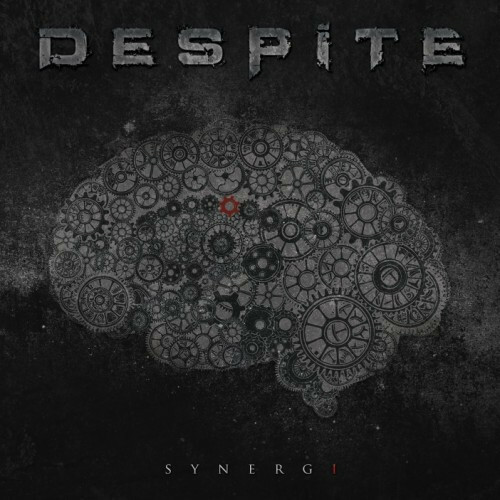 The next song is the title track to Synergi, the debut album from Despite, which will be released on July 22 by Eclipse Records. The song is a satisfying blast of racing melodic death metal that exudes savagery and skull-cracking grooves, with superheated harsh vocals that somehow become soaring and melodic in the choruses without losing their harsh edge. As icing on the cake, the band take a surprising, atmospheric turn in the song’s mid-section, slowing the assault and introducing a sensation of eerie mysticism. Despite will get your heads banging hard in the jackhammering finish, too. The album is available for pre-order via iTunes and Amazon. Either option comes with the songs “As You Bleed” and “Time Lapse” as instant download tracks. The album is also available via Google Play. We’ll stay in the same musical vicinity as the last song but change countries to Austria. 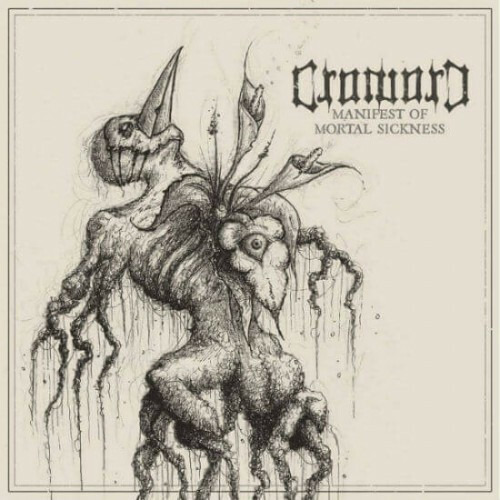 The band is named CroworD, and what I learned about from my e-mail review was a lyric video for the title track to the band’s first EP, Manifest Of Mortal Sickness, which was released in April. What we have here is high-energy melodic death metal with swirling, shimmering, shining layered guitar performances and a jolting rhythm that gets the adrenaline flowing, complete with bear-like growls and an appealing little instrumental break in the back half. This song has made me grin every time I’ve heard it — and it’s easy to keep listening to it because it’s so appealing. The lyric video is also very cool, unlike any other I’ve seen — and I’ll let you discover what I mean for yourselves (though I must give away some of the surprise by naming the calligrapher: Lukas Diemling). 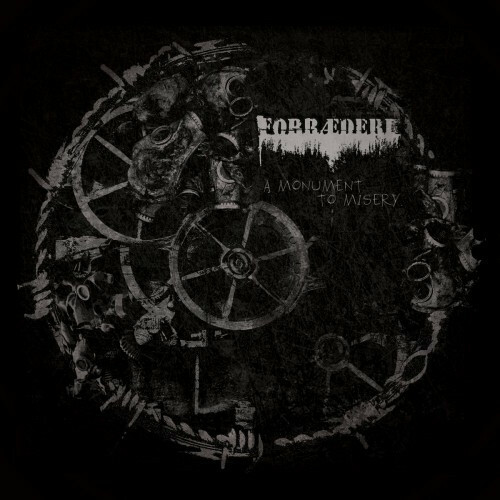 To conclude this round-up of good music discovered through our in-box last night, I have a song called “Social Isolation”, which is the first track from the upcoming 12″ A Monument To Misery by the band Forræderi from Trondheim, Norway. This is a change of style from the last two songs, an abrasive piece of vicious grind, fueled by d-beat rhythms, somersaulting drums, and hornet-swarm riffs that seem bent on stripping all the flesh from your body while you’re still alive. Damned nasty vocals, too. By the time the vocals kicked in on the 2nd Polyptych track I was already downloading it from bandcamp. Holy fuckballs they’re good. As they’re unsigned I can only imagine it’s by choice. Glad you’re digging it. In my humble opinion, a dark-horse candidate for year-end lists. I’m also surprised they’re not with a label, but if it’s not by their own choice it’s even more surprising. Definitely stoked on that Polyptych album.